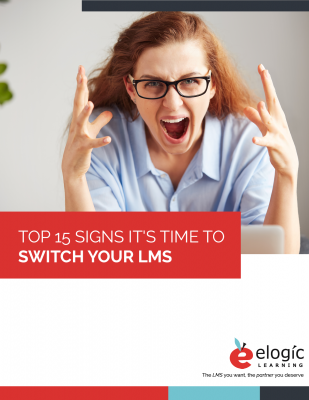 Having issues with your current LMS but not sure whether or not they’re reason enough to switch LMSs? Take a look at these 15 signs it might be in your best interest to do so. Does the LMS have full mobile compatibility and functionality? Is the interface user-friendly and intuitive? Can it be personalized? Will the LMS fulfill your future needs? Does the LMS integrate smoothly with other systems?